The Press of Robert LoMascolo: Happy New Year! Best wishes for the New Year 2017! 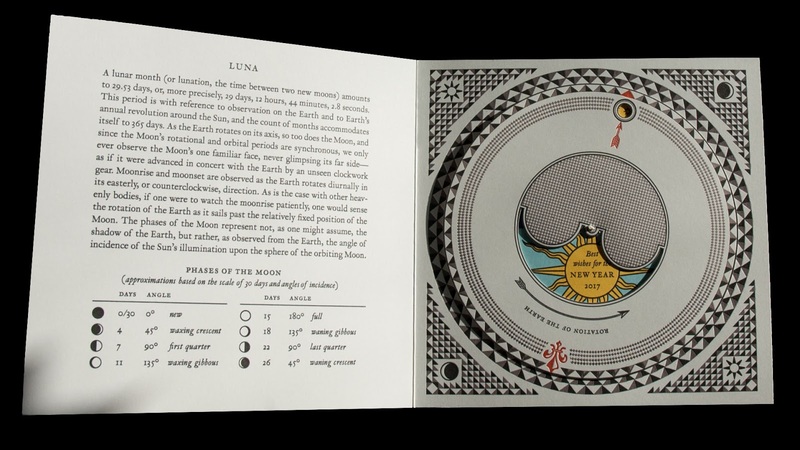 Such are the sentiments of this tricky bit of letterpress printing and die cutting featuring a movable lunar volvelle. Commissioned and designed by the prolifically talented Mark Argetsinger (http://argetsingerbooks.com).